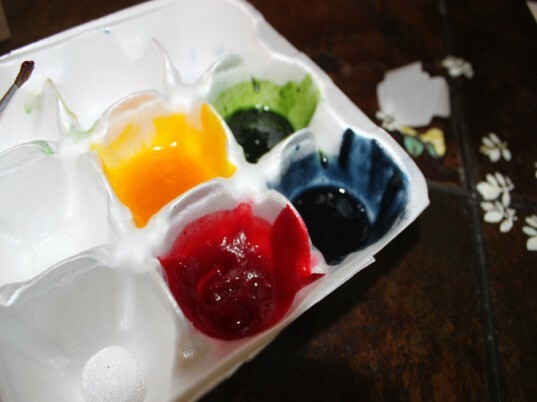 Mix equal parts pigment paint and water in the mixing tins or another art palette. We used a recycled egg carton, since we were already using it to create another Glob inspired art project! The colors are bright, vivid and smell amazing, your children will love them. 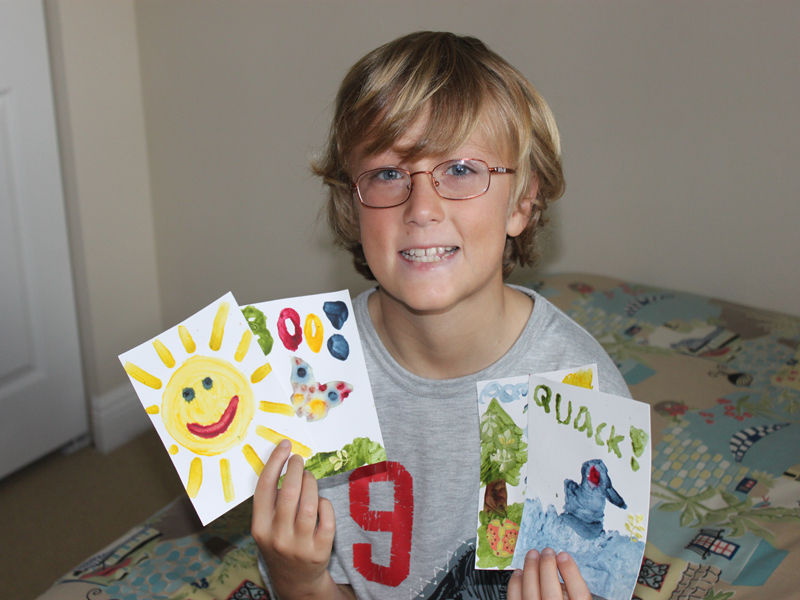 Give each of your children some of the botanical infused blank cards and allow them to create any type of artwork that they can dream of. My son automatically started to create nature inspired artwork! 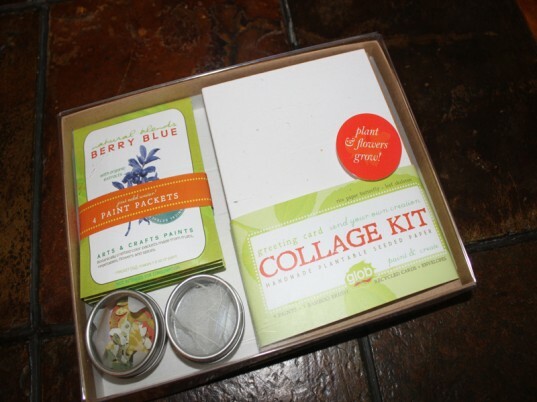 Each of the natural collage materials will easily attach to the paint on the cards. 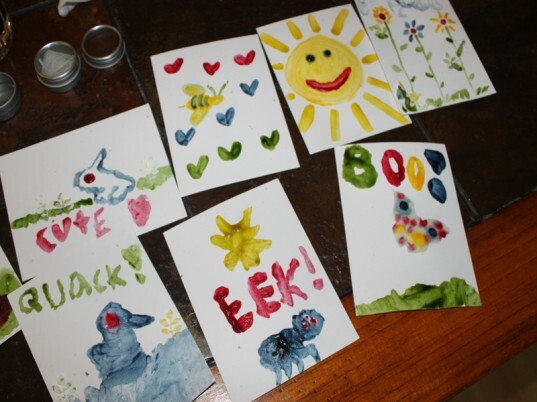 Encourage your child to stick the collage materials onto the cards before they dry. Allow the completed collage cards to dry completely, then pair them up with the matching envelopes. Encourage your child to use their collage cards to send thoughtful messages to friends and family members. This is a great time to send thank you notes for birthday gifts or summer weekend’s spent at a friend or relative’s home. 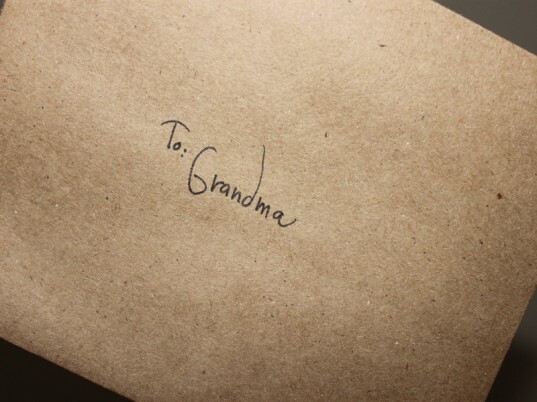 You could also wrap up the set of completed collage cards and give them to grandma for Grandparents Day. 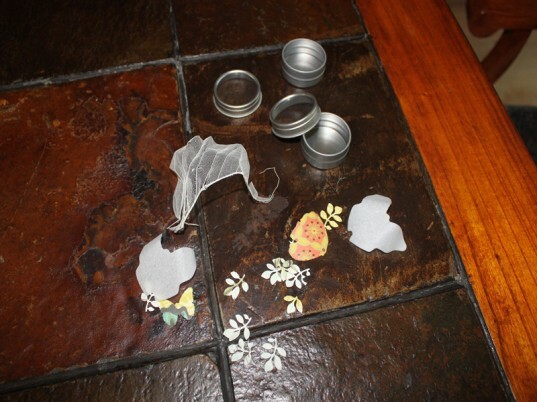 The best part, once the recipient has enjoyed the card, it can be planted in the garden and wildflowers will grow! Encourage your child to use their collage cards to send thoughtful messages to friends and family members. This is a great time to send thank you notes for birthday gifts or summer weekend's spent at a friend or relative's home. 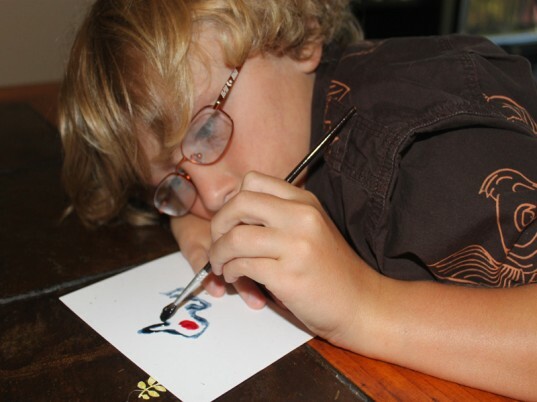 You could also wrap up the set of completed collage cards and give them to grandma for Grandparents Day. The best part, once the recipient has enjoyed the card, it can be planted in the garden and wildflowers will grow!